Today is a big day for our first-year students. They are putting the finishing touches on their preparation for a final examination in Contracts, and by 5pm this afternoon they will have completed their first semester of law school — a major accomplishment in and of itself. The students really have no idea how much they have learned (and changed) in these few short months. I should warn you: If you have not had significant interaction with your student this semester, odds are that they will seem to speak a different language when they return home for the holiday break! This new language may be annoying, but just indulge them. They won’t know any better. I remember very well the first morning after my first semester of law school. I looked forward so very much to sleeping in and not having to think! Imagine my disappointment when I woke up at the same time I had awakened all semester, and everything within me said I should be thinking about something! I had studied so hard for so long that it really did take me several days just to remember how to relax. We still have two upper-division finals scheduled for tomorrow morning, and this entire week is a “work week” for those of us on staff at Pepperdine. However, with the “final finals” underway both Director Oliver and I will take a break from blogging until the first day of spring semester classes (Monday, January 6). Thank you all for tagging along on the blog this semester. I hope you all have a very happy holiday season!!! Today our 1L’s received an email from Professor Michael Helfand about an exciting opportunity for this summer! 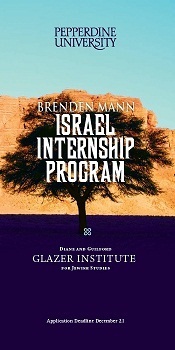 In conjunction with the Diane and Guilford Glazer Institute for Jewish Studies, applications are now being accepted for the opportunity to spend the 2014 Summer in Israel. Opportunities to work with some great firms are available! More information can be found on the link below! Yesterday, I received a link to the Pepperdine Annual Report 2013. If you are unfamiliar with the larger University, I believe you will find the report to be both interesting and encouraging. The following “year in review” video is embedded in the report. It shares highlights from across the University, and it is good to see the School of Law featured in several places (especially the clips of Dodge Ball!!!). Pepperdine Alum Andre Birotte in the news! U.S Attorney and distinguished Pepperdine Alum, Andre Birotte brought charges against 18 current or former LA County Sheriff deputies in a civil rights and corruption probe made by the FBI. Even as the lead federal prosecutor for Los Angeles, Mr. Birotte has continued to stay heavily involved as a part of our Preceptor program and BLSA alumni organization. Really great to see Pepperdine alum out there doing such good things! You can read the announcement from Governor Brown’s office HERE. 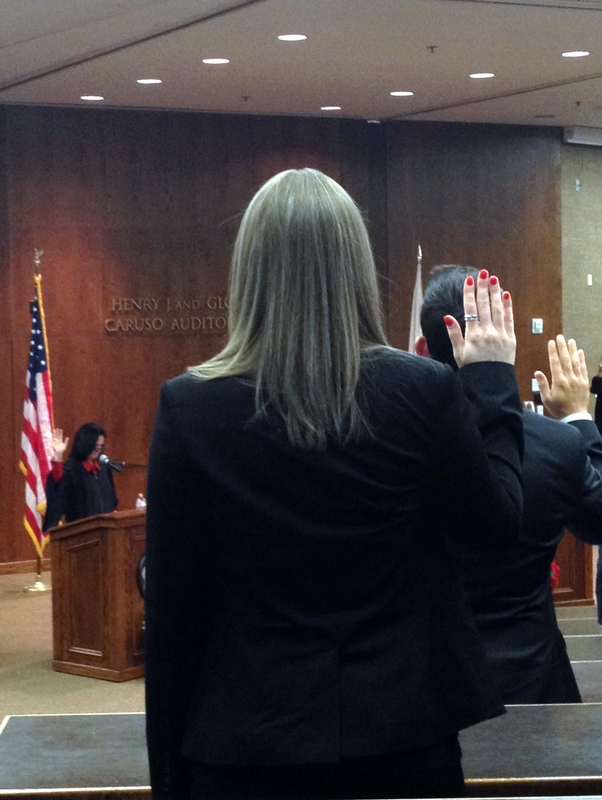 Last Friday evening witnessed one of the great events of the fall semester when many of our graduates returned to campus to be sworn in as attorneys to the State Bar of California. 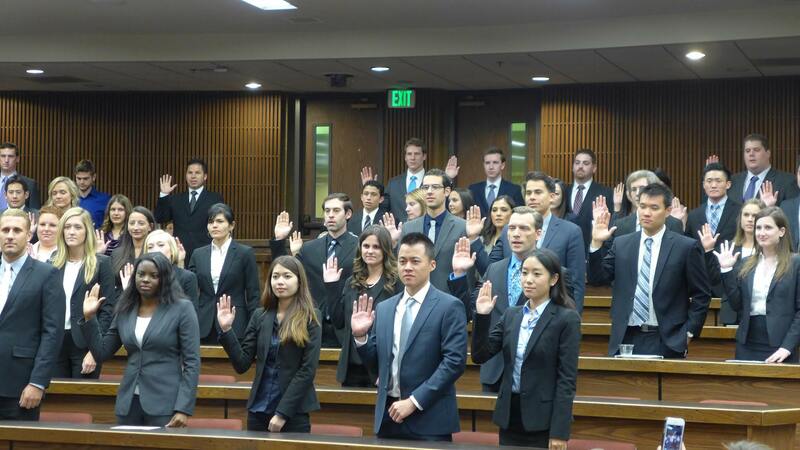 Pepperdine had 136 graduates pass the California Bar Examination in July (with results announced in November). Of that number, 84 were able to attend the special swearing-in ceremony last Friday evening. The new attorneys heard inspiring messages from Dean Tacha, famed trial attorney Thomas Girardi, Justice Tricia Bigelow, and Judge Beverly Reid O’Connell. Justice Bigelow administered the oath for the State of California, and Judge O’Connell administered the oath for the federal court of the Central District of California. Both Justice Bigelow and Judge O’Connell are graduates of Pepperdine Law — with Judge O’Connell’s recent appointment to the federal bench, this marks the first time we have been able to have both oaths administered by Pepperdine alums! In more news about our amazing faculty, Professor Rick Cupp has been involved in several debates and interviews concerning lawsuits filed in New York seeking a form of limited personhood and rights for chimpanzees being held in research labs, etc. Below you’ll find a link to a pretty interesting video debate between Professor Cupp and Steve Wise, the former Harvard professor who filed these lawsuits. The debate was hosted by the magazine Science, and addresses whether it makes sense to assign limited legal rights to intelligent animals or to focus instead on human responsibility for humane treatment of animals. Professor Greg McNeal was featured in all sorts of media outlets this week as he responded to the 60 Minutes interview with Amazon CEO, Jeff Bezos. HERE is the segment on CNN. Two of our faculty members — Professor Paul Caron and Professor Rob Anderson — were featured in the ABA Journal this week in its 7th annual “Blawg 100” issue as hosting two of the top one hundred legal blogs in the nation. In addition, Professor Caron’s “Tax Prof Blog” was one of ten inducted into the ABA Journal Blawg 100 Hall of Fame, one of only twenty blogs ever given this honor! You can check out Professor Caron’s “Tax Prof Blog” HERE. You can check out Professor Anderson’s “Witnesseth” blog HERE. You can vote for both HERE. Today marks the start of Fall Semester Final exams!!!! While the schedule today is relatively light (International Tax, Intellectual Property Survey and Wills & Trust) it really picks up with our 1L’s Civ Pro Final tomorrow afternoon. A little note of encouragement (with no mention of a reply :)) will go a long way toward encouraging your law student that they can make it!!! Dean Sturgeon and I will be monitoring the hallways as always, students are encouraged to come talk with us for any reason if needed. The good news is, in nine days (or less) everyone can start to focus on family, friends and the Holidays! Today is a bittersweet day. We have the pleasure of celebrating the exemplary career and upcoming retirement of Herbert (“Herb”) Cihak, Associate Dean for Library and Information Services and Professor of Law, with a special retirement luncheon. Although we celebrate today, we are simultaneously sad to see him go. Dean Cihak has been a wonderful leader at Pepperdine Law, and he will be greatly missed as he and his wife make their move to Utah at the end of the semester. On a personal note, for the past eighteen months my family has had the honor of being a neighbor to the Cihaks — we will miss this family both at work and in the neighborhood! Dean Cihak has three degrees from Brigham Young University and a J.D. from the University of Nebraska. He joined the law school at Pepperdine in 2007 as the associate dean of the Library and Information Services and professor of law. Prior to his arrival at Pepperdine he was the director of the Young Law Library and professor of law at the University of Arkansas from 2004-2007 after serving as the associate vice chancellor for the Library and Information Technology at Louisiana State University Law Center from 2001-2004. 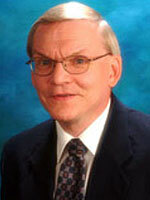 He also served as director of the Law Library and Professor of law at the University of Kentucky from 1994 to 2001. During 1988 to 1994, he was affiliated at the University of Mississippi, first as head of Public Services, and then in 1991 he assumed the position of director of the Law Library and assistant professor of law. Prior law library service includes work in Oklahoma, Texas, and California. Professor Cihak has presented numerous state, regional, and national programs dealing with library and information technology issues. He has written extensively on topics dealing with library management, and marketing. His 2002 book, Leadership Roles for Librarians has been designated an American Association of Law Libraries Series Publication. Professor Cihak served as president of the Southeastern Chapter of the American Association of Law Libraries in 2001-2002, and he has been active in the American Association of Law Libraries. Best wishes to Dean Cihak on his well-deserved retirement!